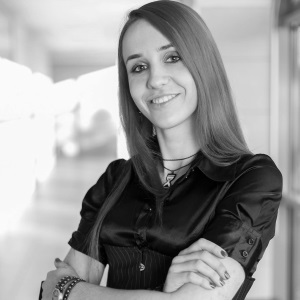 Ewelina Wyspianska is a Scrum Master at NewVoiceMedia. Her passion for Agile has started 4 years thanks to her fiancé, local meet-ups and conferences. Currently, she’s working with two wonderful teams and helping them be more and more awesome every day. She also has a superpower which is building good and healthy relationships within the team and bringing positive energy. She believes in a statement ‘what comes around goes around’, so she is actively involved in volunteering activities, such as project ‘School of Agile’, ‘Wrocław Agile Development’, charity and WOŚP. Her hobbies are psychology in management, dancing, drawing, and cosplay. You’ll find her on Twitter at @ewelyyyna.